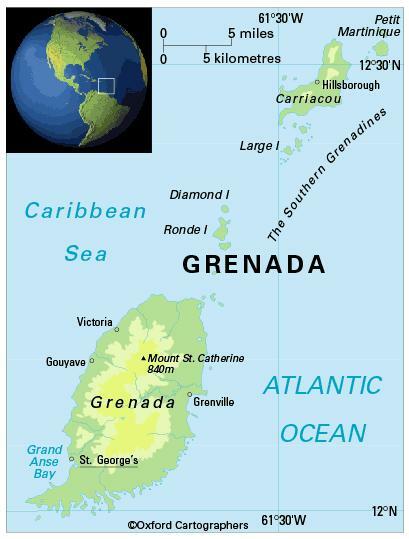 Grenada’s public spending on education accounts for approximately 5.1 per cent of GDP (2002/03). The Ministry of Education and Human Resource Development is responsible for the education system in Grenada; they oversee the planning, execution and monitoring of the education system. The ministry is split into several units, including administration, finance, information technology, personnel, planning and development, and curriculum development. There are very few external government education agencies in Grenada and most education systems are controlled by individual departments in the Ministry of Education. However the most prominent external agencies are the Caribbean Examinations Council, and the Education Testing & Examination Unit. The Caribbean Examinations Council works with 15 English-speaking Commonwealth Caribbean countries and territories to provide examinations and certification at secondary and post-secondary levels. There are 12 years of compulsory education starting at age five. Primary school comprises seven years and secondary five. The school year starts in September. Tertiary education centres on the T A Marryshow Community College, which hosts an open campus of the regional University of the West Indies. T A Marryshow Community College was established in 1988 when Grenada National College merged with several other tertiary institutions including Grenada Teachers College; Grenada Technical and Vocational Institute; and Institute for Further Education. The University of the West Indies has its main campuses in Barbados, Jamaica, and Trinidad and Tobago. St George’s University – founded in 1977 – is an offshore American university specialising in medicine. The female–male ratio for gross enrolment in tertiary education is 1.4:1 (2009).